For the record, in my N of 1, I totally count the exercise (though not calorie counting today with all those mini Twix to come) and I have consistently lost weight whenever I have calorie counted. I’ve even been known to go for a run for the explicit purpose of enjoying dessert later. Anyway, the overall point still holds. 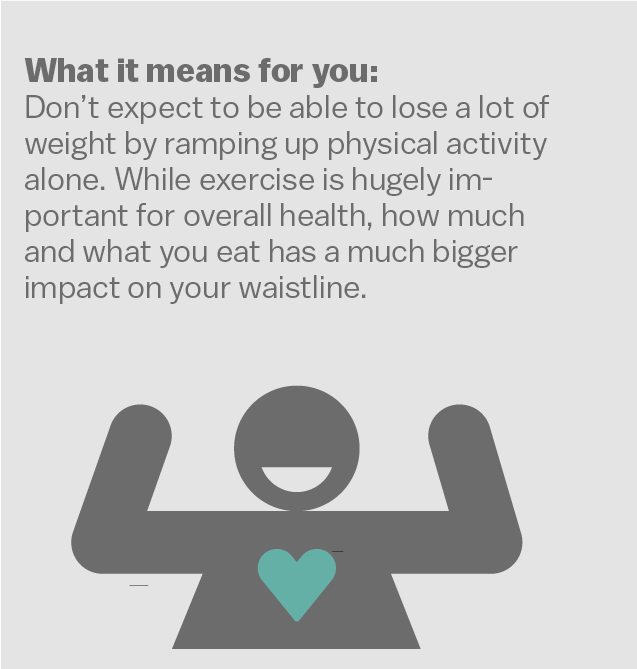 Be sensible and focus on calories in. 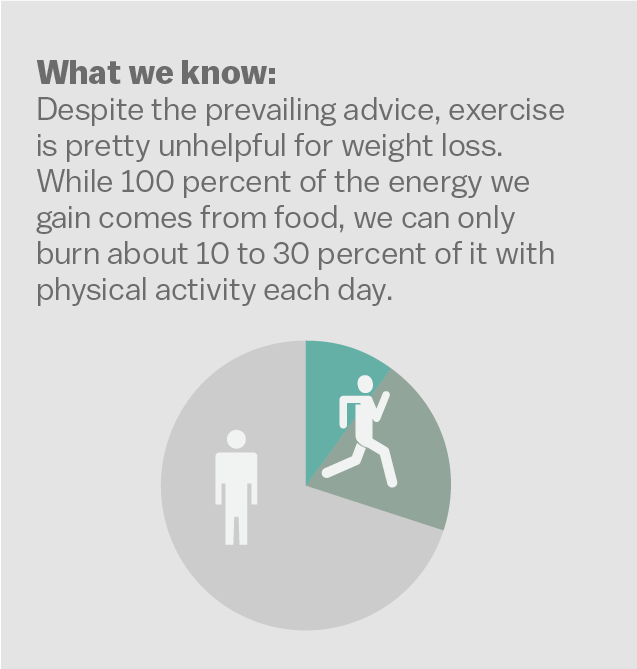 And exercise, because being healthy is good. The best use of statistics ever? I do love both twix and kit kat, which are near the top. I enjoy Reese’s, but did not realize the combination of chocolate and peanut butter was so beloved. What makes this extra cool, though, is the OLS regression model to determine which features make candy most appealing. So, there you go, not just chocolate and peanut butter, but fruit flavors. Now, what the statistician in me really wants to see is an interaction term for chocolate and peanut butter together. I strongly suspect that would be statistically significant. Anyway, happy Halloween! Rest assured, I will be plucking twix, kit kat, and twizzlers right out of my kids’ Halloween pumpkins tonight as candy tax. In metro areas from Seattle to Chicago to Washington, DC, new data show that per capita incomes, education levels and the young adult share of the population are rising rapidly in downtown urban centers that were left for dead 30 and 40 years ago. Simultaneously, in many of the same places, incomes, education levels and the age structure is failing to keep pace, or even deteriorating, in the small town and exurban communities at the metropolitan area’s periphery. The UVA data documents this shift by measuring the demographic and economic characteristics of people who live in the urban centers of 50 large metropolitan areas and up to 30 miles from them. In a series of interactive charts, it compares those profiles in both 1990 and today. That comparison produces a pattern reminiscent of what Ross Perot, the independent presidential candidate in 1992, once called “a giant sucking sound” — in this case center cities pulling away the most upwardly mobile people from smaller places. Since 1990, the overall number of college graduates in the nation has grown, but the gap between the share of them living in central cities and smaller places is widening. The frustrations of younger mostly minority communities inside growing cities, and the older, predominantly white communities at their periphery, are really two reflections of the same challenge: finding ways to more widely disperse opportunity beyond well-educated workers in a few highly networked urban centers of clustered talent. Trump has responded mostly by pointing blame at foreign trading competitors, immigrants and the political “elite,” while Democrats typically shake their fist at the rich and Wall Street. But both parties are still largely at square one of formulating an agenda that can plausibly channel more of the growth coursing through the biggest cities into the places it has bypassed — both nearby and far away. 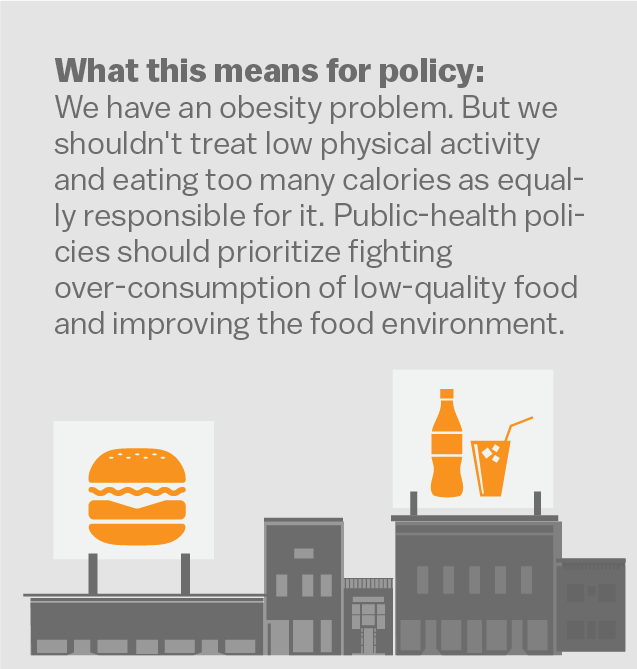 This is a big, important change that will definitely shape politics in major ways. Rob Christensen does not reference Brownstein, but his piece on the struggling smaller cities in NC fits exactly into this pattern. What is your political type? 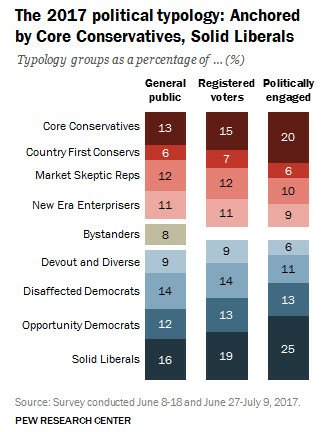 First time I did the typology, I actually came out an “opportunity Democrat” rather than a “solid liberal.” As much as I think society way under-appreciates the impact of external forces on one’s life outcomes, I still believe that (properly regulated) markets are a good thing and that hard work does have a way of paying off. But, it was a really tough call with some binary choices and I took it again, changing just two questions, and came out a “solid liberal.” I’m probably a solid liberal with more faith in markets and hard-work than most or an opportunity Dem with less faith in markets and hard work than most. Take it yourself and let me know where you come out! Maybe. But don’t come to any conclusions based on the super-popular Implicit Association Test. The IAT is super-cool. I’ve done a bunch of these myself (try it here) and I really like how my friend, Alex Theodoridis applied it to partisanship, but Jesse Singal’s terrific article makes clear that its utility for understanding racism has been waaaaaay over-sold. This is a long piece, but if you are interested in social science (or, specifically, the idea of implicit racism), it’s really a pretty fascinating case on how an idea really took over the field, gained huge real-word practical relevance, and only recently has been shown to be deeply suspect. I was intrigued by reading about all the people that were traumatized in learning they were implicitly racist. I don’t remember my exact results, but I know what I consciously think, I know my political views, and I know how I treat people, so I was never bothered by the fat that my brain might more rapidly respond to Black people connected to negative words than white people connected to negative words. And, good news, I figured since this is from back in January, somebody must have done a pretty decent short version. German Lopez at Vox! And I missed it. Anyway, definitely check out the Vox version. 1) Using algorithms to help with sentencing decisions seems like a good way to minimize the impact of human bias. Alas, it actually exacerbates racial bias. 3) My friend/colleague who studies China made a compelling case to me at lunch the other day that goings-on in China of late are really important. Here’s the NYT story. Identify something they want to force Trump to do. 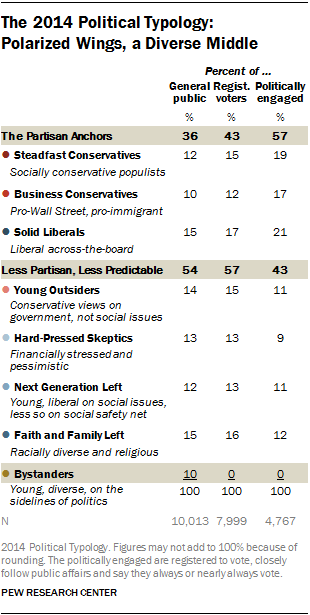 Identify something Republicans want to pass that they think is less important than No. 1. Say that unless No. 1 happens, they will scuttle No. 2. Part of the genius of the American system of government is that issues don’t need to be closely related for senators to make them be closely related. Flake, Corker, and McCain all care a lot about foreign policy, for example. So one thing they might be concerned about is the extent to which the State Department’s senior leadership ranks are riddled with vacancies. They could have stood up and said they would scuttle the bill on bank lawsuits unless Trump submitted a full slate of well-qualified nominees for these positions. The point isn’t that anti-Trump Republicans should adopt all of my policy views. It’s that they need to engage in some self-reflection about their own policy views. Pick some things that seem important to them but unlikely to happen, pick some things that seem likely to happen but less important, and threaten to scuttle the likely things unless they get their way on the important things. That’s what legislators do — they legislate. 6) An experiment that made participants feel less susceptible to fear made them temporarily more liberal. 7) I have to say, this Burger King anti-bullying ad really is very good. For my part, I ran with Evan in his middle school’s “anti-bullying 5K” today. Presidential scholars will tell you that the presidency is a constitutionally weak position, but that one of the major strengths it has is setting the agenda for the federal government. No one can compete with the media attention the president will receive, and what he decides will be an important issue often ends up becoming so; whoever sets the president’s agenda possesses a great deal of power. Often, that role has fallen to the major political parties, but Trump’s relationship with his party is a tenuous one. Sometimes it falls to the president’s most immediate set of advisers. In Trump’s case, it appears to be Fox News. The news network devoted to covering the federal government is, in fact, setting that government’s agenda. Reporters and news outlets have occasional had some sway with the president, but it’s hard to think of a parallel to this relationship. Indeed, this helps to explain why the Republican agenda has been so fraught and disorganized. 9) Enjoyed Popular Science’s round-up of the 12 most important health innovations of the year. 10) Andrew Sullivan lets loose on the “Trump abyss.” Wow. If I were asked which were the problems that are most overlooked right now, I’d say record levels of social and economic inequality, declining social mobility and a dangerous, unsustainable level of debt. Acquiescence to all three poses a threat to the legitimacy of democratic capitalism. My own understanding of conservatism would be particularly concerned about all three, because conservatives should want to conserve our system of government and support for free market economics. So what does the ostensibly conservative party in America – the Republicans – propose we do? They propose that we make all of this de-legitimization of democratic capitalism much, much worse. I’m referring primarily to their proposed massive tax cut to the super-wealthy, the abolition of the estate tax, and their bid to add over a trillion dollars to the debt. 11) Damn. I will take a libertarian anyday, or heck, a Mitt Romney Republican, over these damn totalitarians in liberal guise on college campuses. I don’t know anything about the University of Oregon president. I do know that nothing justifies students preventing him from giving his “state of the university” speech. 12) Is there something about the state of Oregon. Reed College, which, like Oberlin, pretty much represents extreme liberalism amok on campus, apparently has pretty much lost its mind. This essay from a Reed professor was just sad. Worst part is that the college administration allowed this. On the bright side, as much as everybody likes to say “kids today” Reed and Oregon are still outliers. That said, actual liberals need to vociferously speak up against this authoritarian crap. At Reed College in Oregon, where I work, a group of students began protestingthe required first-year humanities course a year ago. Three times a week, students sat in the lecture space holding signs — many too obscene to be printed here — condemning the course and its faculty as white supremacists, as anti-black, as not open to dialogue and criticism, on the grounds that we continue to teach, among many other things, Aristotle and Plato. In the interest of supporting dissent and the free exchange of ideas, the faculty and administration allowed this. Those who felt able to do so lectured surrounded by those signs for the better part of a year. 13) Apparently stealing marathon bib numbers and designs prior to the race by social media and then using them to make counterfeits and run the race is a big thing. 14) The shameless disrespect for the judicial branch in NC is certainly one of the most frustrating– and woefully under-covered– aspects of the clowns currently running our state legislature. 15) The Supreme Court is not above playing fast and loose with facts. Now, that’s still a clear majority, but dropping from 80% to 55% support in just over two decades really is something. 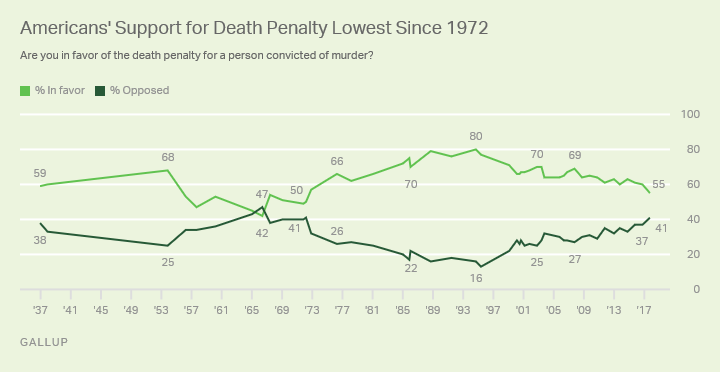 Presumably, we can thank 1) the declining crime rate, and 2) the attention to all the innocent people released from death row thanks to DNA testing. 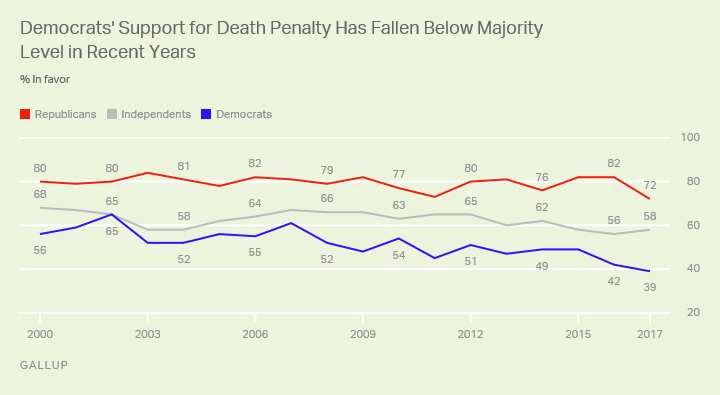 Will definitely be interesting to see how this trend develops in the next few years with Mr. “American carnage” in the White House and driving the Republican electorate.